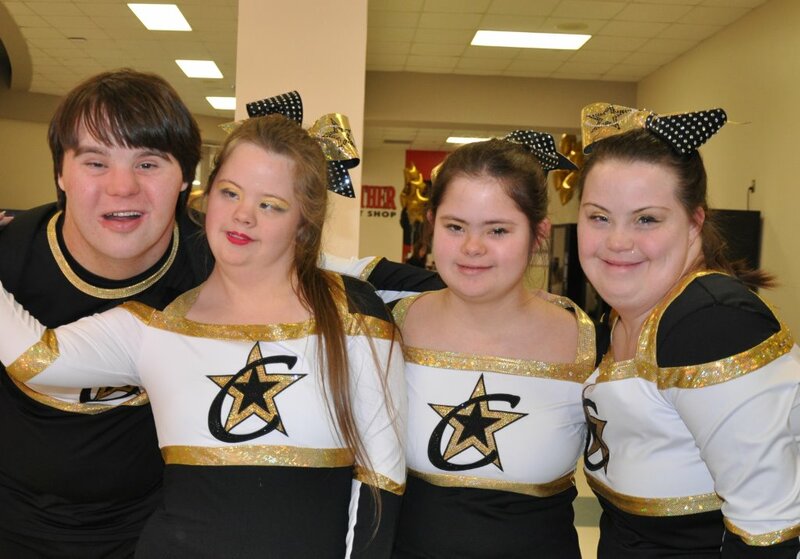 Champion Cheer Blast is a Co-ed Special Needs All Star team for athletes of all ages with an intellectual and/or physical disability who love to cheer, dance and perform. All Star Cheer offers friends, fun, music, dancing, cheering and the opportunity to perform in front of enthusiastic crowds increasing our athletes’ courage and confidence! Champion Cheer’s Professional Staff offers your child the safe and fun environment they need to learn the sport of cheerleading. Our staff has chosen to coach cheerleading as a career because of the positive difference that the sport makes in our athlete’s lives. Champion Cheer offers traditional values, positive role models and a family atmosphere that teaches our students “life lessons” that will remain with them forever. Not only does CCA stand for Champion Cheer All Stars, it also stands for Character, Commitment and Attitude. These are values that we hope our athletes will strongly develop and carry into all areas of their lives! Make sure to sign up for our newsletter for more information!